I thought it was only right to do a tag that appropriate so here we have 'The Summer Tag' . What is the best part of Summer time? I think the warmth as we don't get lots of good weather in the UK. We have had 1 week of really warm weather this year and that's about it. I also enjoy Summer because we get to have BBQs. Well I am Scottish so I'm as pale as a milk bottle. On hot holidays I tend to burn and peel and then turn white again. If I go to the sunbeds and do 3 minutes over several weeks I build up a nice tan and don't peel or burn. As I burn so easy I normally have factor 30 or 50 sun cream too. I love BBQs during the Summer - my mum used to make this marinade which had tomato sauce, honey, salt, soy sauce and garlic and you marinated chicken breast in it from the night before and then skewer it and cook on the BBQ - it's AMAZING! I also love a good hot dog or homemade burgers too! What is your favourite Summer drink/beverage? I love smoothies and mixed fruit juices. You can also find me in Starbucks throughout the year (not just Summer) drinking a coffee caramel frapp! What is your favourite Summer clothing item? I love Summer clothing - when I'm chilling out at home - I wear shorts or t-shirts that are Summery as they are so comfy and relaxing. I have a favourite t-shirt at the moment that I got I got a couple of days ago from Primark - it's a scoop hem - so it is lower at the back and covers my bum. It's also quite tight fitting which I like too. What is your favourite phone app during the Summer? I'm really enjoying my AppleWatch Activity app that installs automatically when you sync your AppleWatch with your iPhone. It shows all the data your watch is collecting and the Health app also records data like your heart beat too which I find interesting. What is your favourite Summer movie? What makes it a Summer movie? If its released during Summer or it's Summer during the film when its shot? One of my favourite films has to be Chicken Run (which funnily enough is listed in Rotten Tomato's Top 75 Summer Films. You can check out the rest of them HERE. What is your favourite Summer beauty product? I love the Origins GinZing Energy Boosting Moisturiser - I got it when it was on special in Debenhams and I absolutely love it. It smells of oranges and is citrus-y and reminds me of exotic places and in turn hot weather and Summer. I love swimming (in pools) - I used to love swimming in the sea - but I've developed a fear of jelly fish and crabs - well I say developed - they have always freaked me out. As I mentioned above - I love BBQs too - if you could call that an activity. What is your favourite lip product during the Summer? I try and get something with a SPF in so that my lips are protected from the sun as burnt lips are not nice or pretty. I hope you are all having a good week so far? I obviously am! 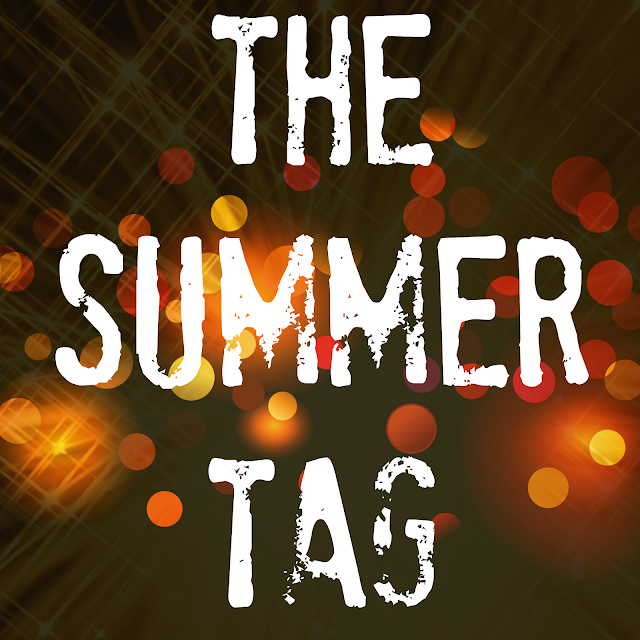 Let me know in the comments section if you have done this tag before or if you do the tag - send me the link and I'll be sure to check it out!